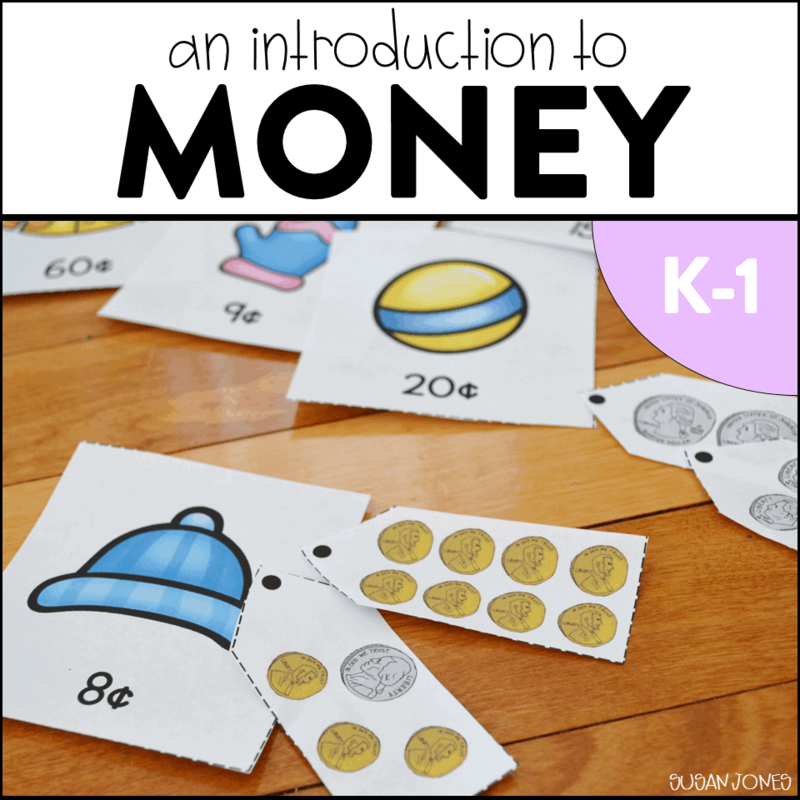 I was always on the lookout for new and fun money games for my first grade students! 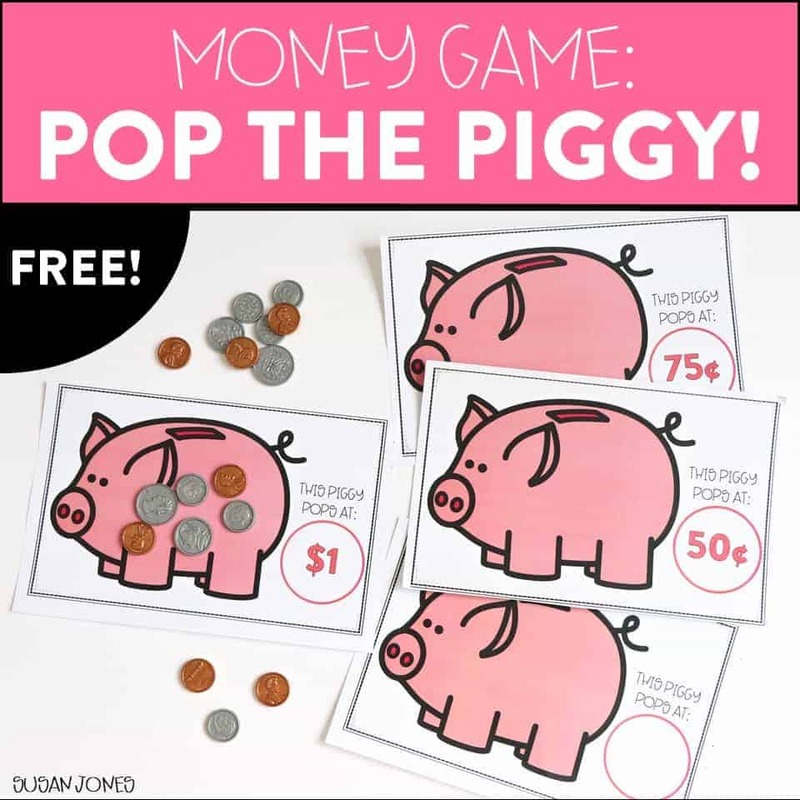 We used to play a Race to $1 game from my first grade money unit, but this time I thought I would put a little spin on that game and turn it into a freebie for you. 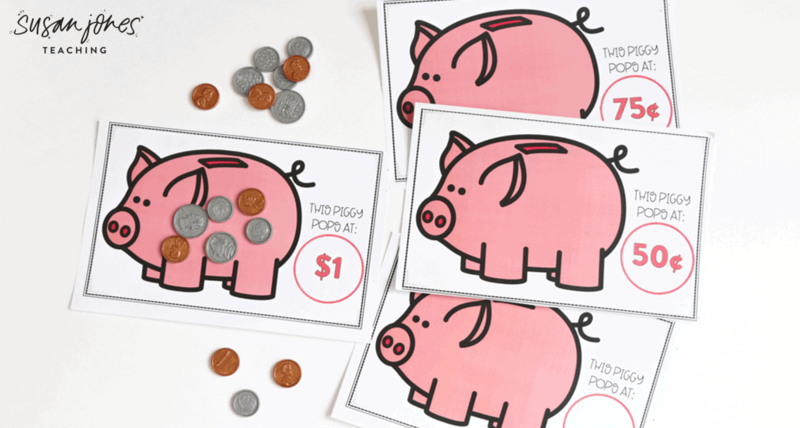 This fun game has students practicing identifying coin values and exchanging money. 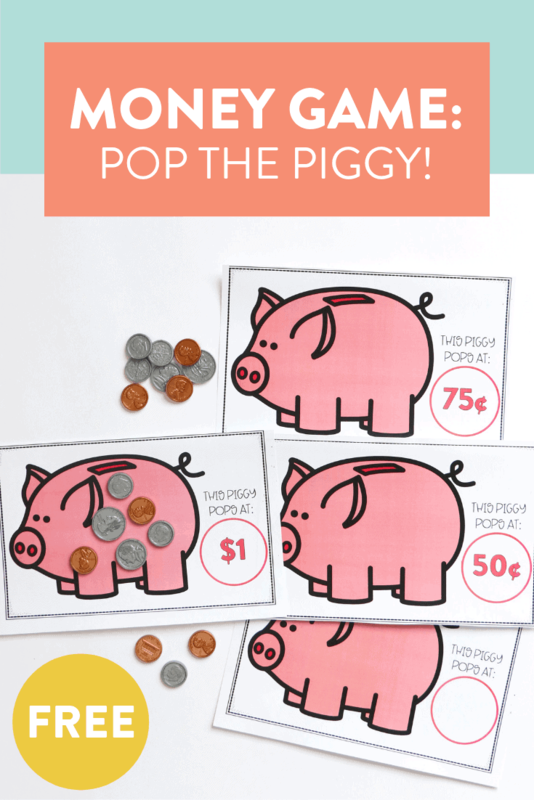 There a numerous piggy bank sheets so you can differentiate this game as needed.